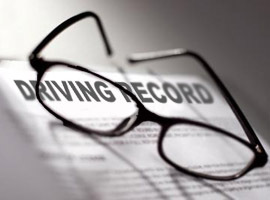 How to Have Driving Record Points Removed? In each state, all licensed drivers are expected to adhere to the rules and regulations of the road. When drivers fail to follow these rules, each state's department of motor vehicles (DMV) has a system designed to assign demerits for the infraction. These demerits or points are kept on the drivers driving record for a specified number of years. It's important to understand that each state has their own point system. Regardless of the state, the infraction points assigned are always based on the seriousness of the driving offense or infraction. Typically, the more serious the offense the higher the points that will be assigned. The following information provides a typical examples of how points may be allotted for various driving offenses. While the list does not include every infraction, the following information provides relative values based on the seriousness of the infractions. Why Are Driving Record Points Important? If you accumulate a certain number of points within a certain time period, your driving privileges can and will usually be suspended. Even if your license isn't suspended, insurance companies have access to your driving record. They typically use this information as a reason to raise insurance premiums. Simply put, it's important to know the number of points on your driving record because it has a direct influence on the amount you pay for insurance as well as your driving privileges. In any case, state and local law enforcement agencies issue millions of traffic tickets every year. However, the majority of states allow drivers the opportunity to complete traffic school to have moving violations dismissed or the amount of the ticket reduced. In some instances, completing the traffic school course can have the associated points removed from your driving record. As a result, you can earn discounts on your car insurance premiums. In addition, driving school courses are instrumental for improving the driver's driving skills and teaching new defensive driving techniques.